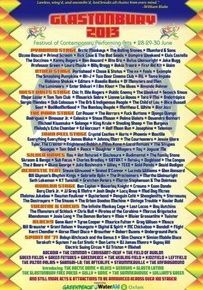 Aside from the Stones performance, the other highlight of Glastonbury 2013 for us was Portishead’s awesome performance on the Other Stage on Friday night. Competing for a crowd with the Artic Monkeys, Portishead succeeded in drawing a big crowd. Their performance was simply perfection in itself. The sound was crisp, clear and loud; the visuals were subtle and impressive, mixing 60s psych with visual reverb and subdued dark black and white images, and Beth’s singing was note perfect, moving, passionate and intense. Roads is my favourite track and last Friday their performance of the song was stunning. The set was a mix of favourites, just the right length, and as usual there was no encore. From the moment the large letter P appeared in the centre of the screen to the end of the last song We Carry On the crowd were just transfixed. This was the third time I have seen this band, and it was easily the best. A classic performance. Setlist: Silence; Mysterons; The Rip; Sour Times; Magic Doors; Wandering Star; Machine Gun; Over; Glory Box; Chase the Tear; Cowboys; Threads; Roads; We Carry On. Laura currently declares Portishead to be her favourite band, and I’ve quite fancied seeing Polly Harvey for some years so this lineup, coupled with the All Tomorrows Parties brand (ATP were promoting this event), made this in-door festival something worth going to. We took the train to London and dropped our things off at the usual Kings Cross Travelodge, and made our way to the venue for around 7pm. First stop was the merchandise stall, where Laura bought a festival t-shirt and was also recognised by the members of Foot Village who had played earlier in the day. Shift-Static supported Foot Village at the Head of Steam in Newcastle a couple of years ago, so Laura was delighted that the band still remembered her (and her shoes!). We then made our way to the Great Hall. The Alexandra Palace is a lovely venue, and has hosted many legendary events in the past including Pink Floyd’s 1968 Technicolour Dream and Zeppelin in the 70s. P J Harvey came on stage promptly at 7.45 and played to a tightly packed hall. We were sat on the disabled platform, which was to the left of the stage and gave us a good view of the proceedings. Her set was unfamiliar to me, and was drawn largely from her latest album. Dressed all in black, she has a strong voice, and certainly went down well with the crowd. OK but not quite as epic as I had expected. She was on stage for about one hour, and after she had finished the hall emptied while people explored the other halls. 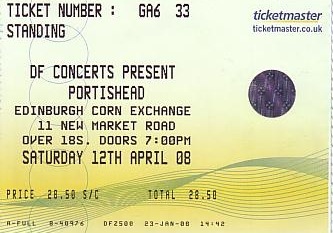 At around 9.30 Portishead took the stage, by which time the hall had filled up again. They delivered an excellent set. Beth’s vocals were amazing, as was the guitar work. Great use of dynamics and a very crisp, loud sound with great psychedelic 60s-ish visuals. Portishead finished at 11pm prompt and we made our way back to our hotel via the shuttle bus to Wood Green and the tube, which all worked very well. We were back watching the TV and the sad news about Amy Winehouse by midnight. I’d seen Portishead on TV and youtube performing Roads with a full orchestra in New York and was very impressed, particularly with Beth’s voice. So what with all the hype of them returning with new material and a tour, I didn’t take much persuading by David and Laura to buy tickets for the nearest date which was a Saturday concert in Edinburgh. David and Mari took the opportunity to go to Scotland a little earlier to explore the sights of the capital. So when the day of the concert came it was Laura and I who took the 2+ hour drive to Edinburgh. I decided to take the route up through Jedburgh, which is a little shorter than via the A1; however, it does involve some quite windy roads which did not impress Laura. Especially as we saw a car on its side in the grass verge at one point on the journey. On arriving in Edinburgh we picked up David and Mari in Princes Street, and set off to find somewhere to eat. After some driving around we eventually stopped at a steak restaurant in Gorgie Road. Our steaks and burgers were lovely; straight after finishing we went directly to the Corn Exchange. We caught the tail end of the support act who sounded quite weird, and Laura bought a lovely P t-shirt. David and Mari made their way to the front of the crowd, while Laura and I took seats in the disabled area which was at the back of the hall, directly in front of the stage. 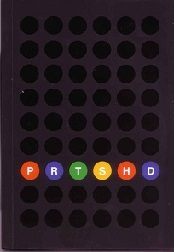 Portishead started with Silence which is the first track on their new album. Although many of the songs were new, they seemed to be familiar to most of the crowd, who greeted each new number with a roar and then fell silent as soon as Beth’s wonderful voice cut through the wall of sound. The light show was pretty impressive, with imaginative use of black and white video alongside some liquid lens effects reminiscent of 60s psychedelia. The well known songs (which were the only ones I knew!) were included; Wandering Star and Glory Box going down particularly well. My favourite, Roads, was one of the encores; Beth’s voice sounding amazing. After the encores were finished we met up with David and Mari and made our way back home. We all agreed that this had been a great show and well worth the trip north of the border.